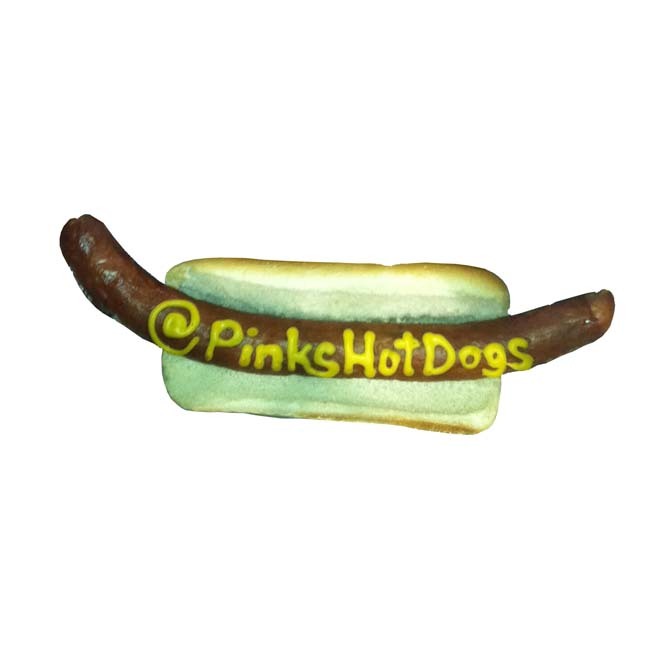 Paul Pink sold his first hot dog at La Brea and Melrose in 1939 and turned Pink’s Hot Dogs into an L.A. icon. On the 55th anniversary of his La Brea Avenue restaurant he told a reporter “I can’t believe it. A million dollar business with a lousy hot dog.” You don’t get your Angeleno wings until you’ve stood in line for a wiener at Pink’s. It’s a rite of passage, it’s the citizenship test, and it’s a delicious meal for three bucks. The Pink family started at the corner selling out of a pushcart. In 1946 they upgraded to a version of the stand we all know, and today they sling dogs at Universal Studios, Knott’s Berry Farm and LAX. Pink’s is a classic L.A. story. Somebody with fifty bucks and a good idea could turn a street corner into a world renowned destination.